The terminal comes in a full-color carry-case measuring 19” x 15” x 11” (48cm x 38cm x 28cm). 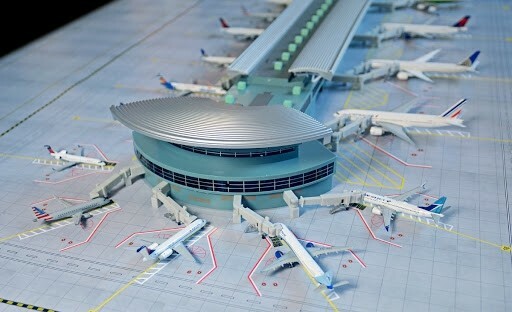 GeminiJets, the world’s leading brand of collectable die-cast airplane models, introduces an all-new 1:400-scale deluxe airport terminal (item no. GJARPTC). Pre-constructed of durable resin and easy to set up, the new terminal measures more than 54” (137cm) in length. Two sturdy, rectangular sections fit snugly together to form the primary portion of the structure and each end is capped with an attractive terminal rotunda. 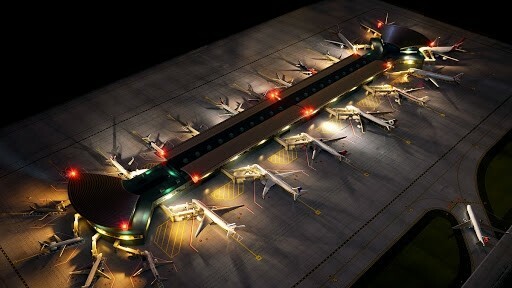 In all, 22 gates and jet bridges line the entire perimeter. Each Terminal is 20 inches x 15.5 inches x 11 inches and weighs 13.23LBS/6KG a piece. Two years in the making, the new GeminiJets terminal is designed for use with GeminiJets’ wide range of precision 1:400-scale models. The terminal comes in a full-color carry-case measuring 19” x 15” x 11” (48cm x 38cm x 28cm).